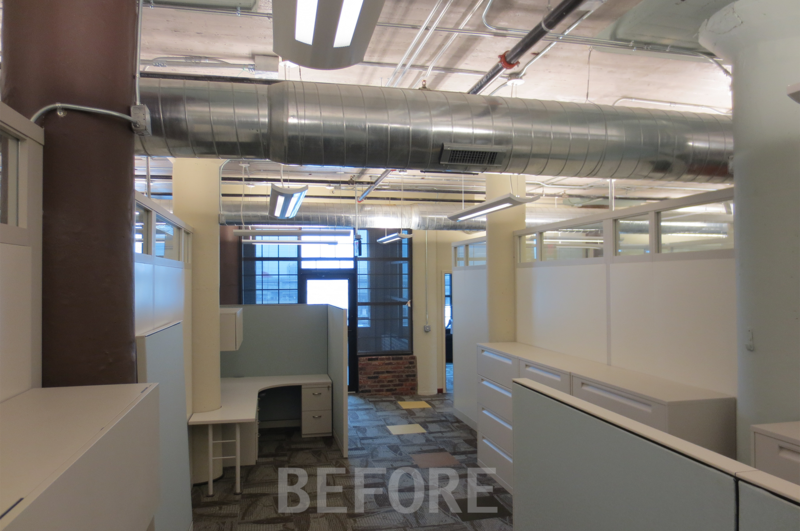 This is what the 4th floor space looked like after it was built-out by others in 2008 for a potential future tenant. ECIDA was excited about a potential move, but the space as it existed did not meet their vision for a friendly, open workplace environment. The charge for the selected design professional in the RFP was to work with the staff committee and "provide direction and coordination in selecting the best approach towards modifications utilizing as much of what is in place and targeting specific beneficial "best ban for your buck" changes that will reduce the "institutionalized" feeling of the existing space".